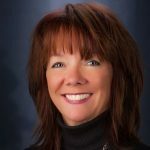 Deborah Whitten of Life Line Financial Services, LLC is a QuickBooks Proadvisor based in Manchester, NH. The services she provides include bank reconciliation, budgeting, full charge bookkeeping, financial reports, QuickBooks & payroll services, quarterly taxes, consulting, and more. Work For Life Line Financial Services, LLC? Claim This Page.